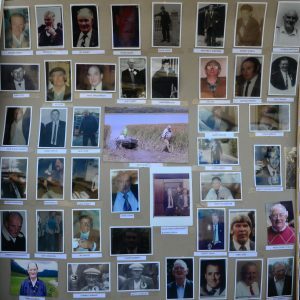 , Newtown, Clarina on Tuesday 19th July in memory of all deceased members of the fishing community. Celebrated by Fr. Mike Cussen P.P. Mons. Michael Lane and Fr. Muiris O’Connor. PHONE CONNECT SEEKS VOLUNTEERS : The Phone Connect project is a free community based telephone support service offered to older people in the West Limerick Area empowering them to remain independent in their own homes. The weekly service provides a listening ear to the elderly allowing them to share any worries or concerns and to be informed of any local events or services. West Limerick Resources, in association with RCCN (Housing) Ltd., are now seeking volunteers to make these phone-calls from a dedicated space where a mobile phone and credit will be supplied. Training will also be made available. If you would be interested in volunteering or require more information, we would be delighted to hear from you by calling Damien at West Limerick Resources on 087 9042477 or Stefanie on 087 3290483. 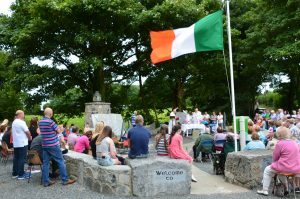 PROPOSED DATES FOR GRAVEYARD MASSES : Clounanna Tuesday August 2 at 7.30pm. 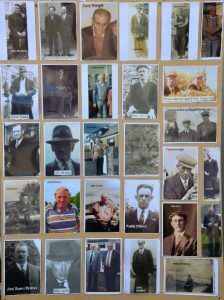 Patrickswell Tuesday August 9 at 7.30pm. Kilkeedy Friday August 26 at 7.30pm. 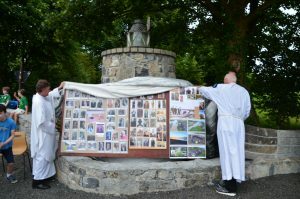 MALIN TO MIZEN WITH 95FM : Corcamore lads David Fitzgerald and Peter Kiely are cycling Malin Head to Mizen Head over three days July 22, 23 and 24. Day 1 will see them cycling from Malin Head through Donegal and Sligo to finish in Claremorris, Co. Mayo. Day 2 will take them from Mayo, through Galway and Ennis and home to Limerick. The route for the final leg of the journey is through Newcastlewest, Killarney and from there to Mizen Head, a total distance of 660km. While aiming to achieve a personal goal they will also be raising funds for the Live 95fm’s 95 Stop Tour whose beneficiaries are the Children’s Ark including the neonatal unit and CARI. You will find a link to their sponsorship page on their personal facebookpages. Alternatively you can donate directly to David or Peter or call the radio station and donate that way. Your support is greatly appreciated. Good luck lads! 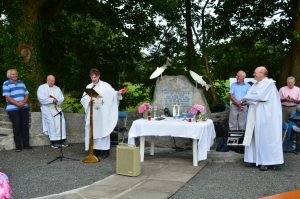 PROPOSED DATES FOR GRAVEYARD MASSES: Clounanna Tuesday August 2 at 7.30pm. Patrickswell Tuesday August 9 at 7.30pm. 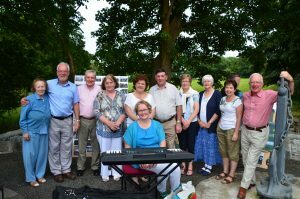 Kilkeedy Friday August 26 at 7.30pm. NATIONAL GRANDPARENTS PILGRIMAGE TO KNOCK : It gives us great pleasure to invite you and your parishioners, most especially the Grandparents of your parish, to celebrate with us the 10th anniversary of the National Grandparents Pilgrimage, to The Shrine of our Lady of knock on Sunday September 11, together with our Patron Archbishop Michael Neary. This is a very special day for grandparents and families, a day full of graces and blessings, when Grandparents gather together – united by the same aim, to give thanks for there are children and their grandchildren, to pray for themselves and for each other to support each other in their vocation, in this great task of passing on the faith. 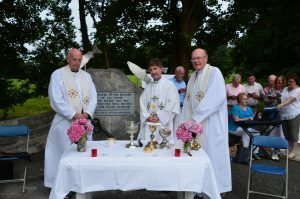 SAILORS HAGGARD MASS : Mass in memory of all deceased members of the fishing community will take place at the Sailors Haggard, Newtown on Tuesday July 19 at 7.30pm. All welcome.